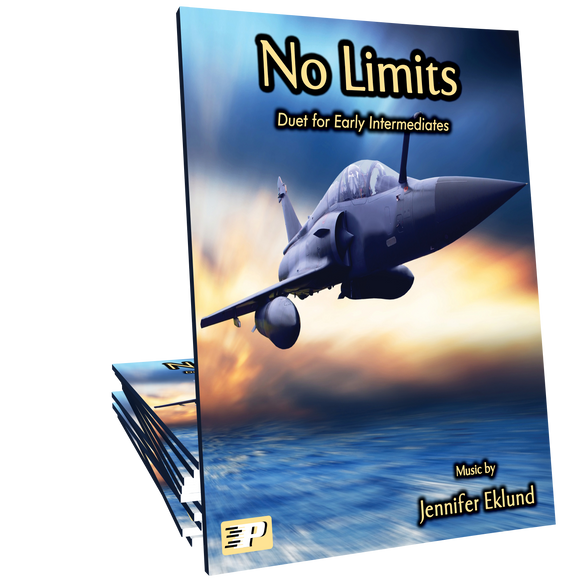 No Limits is a fast and flashy duet for two early intermediates. 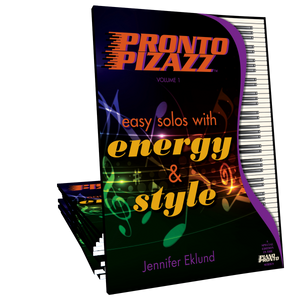 Full of driving, syncopated rhythms this duet is sure to be a hit at your next recital! Music composed by Jennifer Eklund. Great duet! 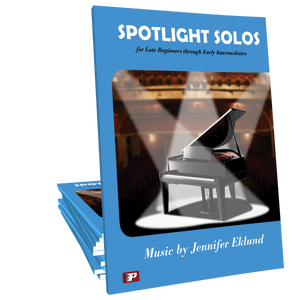 Great for students who've learned the solo piece. Love it! This is a fun and exciting duet that is great for recitals! Every student I show this piece, really enjoys playing it. It is a studio must have! A fun and energetic duet, very satisfying to play! Sounds more difficult than it is. "WOW!!!" That's what my student and I heard exclaimed in the audience when we finished this piece at the recital on Saturday! LOVE this fast and impressive duet!! This duet was featured at my Winter Recital. I had an advanced student with very little time to prepare a piece and we were able to pull together this flashy duet in a couple weeks. Thank you, Jennifer! All my students who've played 'No Limits' solo loved it. A pair of siblings will enjoy playing this duet, which will be in the next recital. Thank you Jennifer for this wonderful duet.